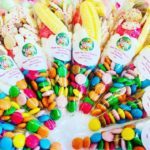 The Sweet Cake Fairy Ltd is the UK’s Number One Sweet Cake and Sweet Cone Supplier! Our Sweet Cakes have no sponge, icing, fruit or Crumbs! If you have never tried one, you won’t regret it and you’ll be back again and again just like our existing customers. 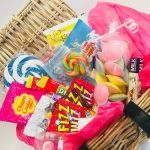 Why not follow us on facebook, Twitter and Instragram for Sweetie Cake Competitions! 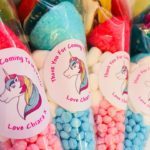 USE OUR EASY ONLINE SHOP TO ORDER YOUR SWEETIE CAKES AND SWEET CONES, THEN ORDER COMES STRAIGHT TO US, LET US KNOW THE DATE FOR YOUR PARTY OR WE CAN SEND STRAIGHT AWAY! For that special occasion why not hire our Candy Cart or Photo Booth? The Sweet Cake Fairy offers nationwide delivery. Whatever & whenever the occasion our sweetylicous cakes and sweet cones promise to enchant family and friends both young and old; tons of tantalising treats from mouth-watering mallows and milk bottles to tongue sizzling flying saucers and much, much more all now sent by courier, packaged so well by our fairies in our shop and sent straight to your door! Have you ever been in a photo booth? Well you need that experience in your life, it's funny and crazy. Just pop on a prop and let the photo booth snap away at you. 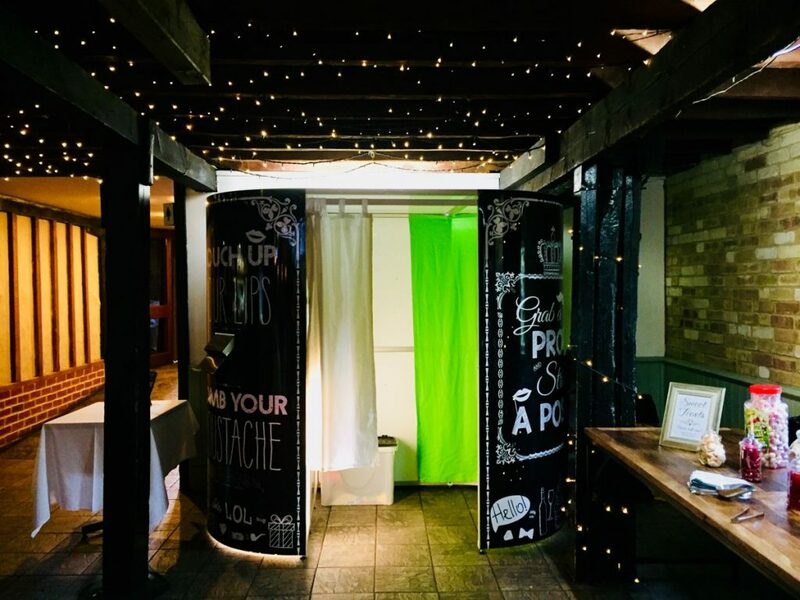 We have been delivering sweet carts to parties and weddings for over 4 years now, we have decided that it's a good idea to add a photo booth to our services because we get asked so many times. 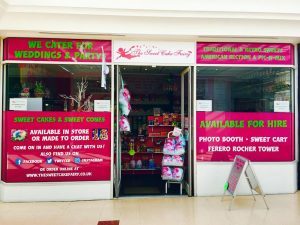 Based in our sweet shop in the Orchard Centre in Dartford we have the photo booth in the window for you to view at any time (unless it's being hired) - we have a great and vast prop box which you'll love - from glasses to bowler hats to fluffy feather bowers. At the end of the evening you receive a guest book with a copy of each photo taken, your guest receive their own as each photo is taken. Our cakes come in a variety of scrumptiously devouring styles from letters, numbers & contemporary shapes to bespoke handbags, footballs, Valentine hearts & even favourite characters. 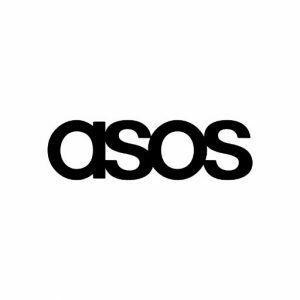 Any request you have we will lovingly bring to life. 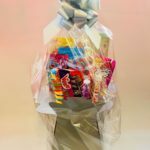 So for birthdays, christenings, weddings, baby showers, hen nights, stag nights, engagements, leaving do’s, Valentines day or just because…contact the sweet cake fairy for your sweet tooth fix. 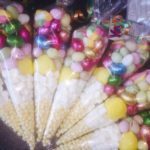 Buy Sweet Cones from our online shop.